Shortly before the end of the last quarter Tesla has asked employees not to take vacation. The entire companies is working on delivering a record quarter and year. 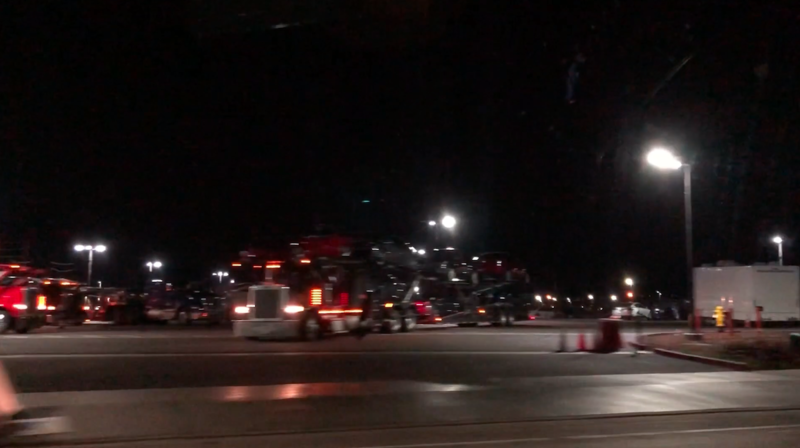 Here is a video of a drive-by at the Tesla-factory in Fremont and Kato Road, with large numbers of auto transporters waiting for their valuable freight. The video was recorded on December 27th, 2018 at around 10pm.